The gym is one of those things that some people love, and others love to hate. Being the main place to be able to concentrate on a workout, it also means that there's the membership fees, the travelling to and from and the constant strange muscly men grunting at themselves in the mirror while you're sweating in sit-ups. The awkward stares when you just wear a sports bra, and the sometimes un-usable machines due to so many before you having no clue what to do with it. Usually this is confined to January, when the New-Year-New-Me thing kicks in, although I find there are still some of these stragglers hanging around every month still giving it a good go (good on you though). I haven't been to the gym roughly ... all year. And even though I don't look that awful, I feel it. Running down the road or climbing stairs and I sound like I'm 85. And that's where the difference comes. Just because you look one way doesn't mean you are. So I may be very unfit but look slim, but someone slightly bigger may be able to run a hell of a lot longer than I can. Making it to the gym can be a hardship for me as I don't drive (don't laugh) and so I have to lug my gym kit around town if I have a day of meetings, or go out specifically, putting aside at least two and a half hours for a round trip. Some days I don't mind, but having only signed back up last week, I'm still getting into a routine. The BodyBoss 12 week training programme consists of fun, high-intensity workout that you do in just 24min, 3 times a week! It boasts about the convenience of being able to work out anywhere, anytime without equipment and with results in just 2 weeks. So I decided to give it a go and test how unfit I really am! The workouts looked pretty simple, and my main issue with the gym is forgetting which exercises to do so it would be good to have something to follow. There's no judging from the outside world in a gym or in a class, you can just do it whenever and wherever, with minimal equipment. I decided to take mine to a quiet park one sunny day and take in the fresh air. you can feel the burn! If you're new to a workout regime or high intensity exercises (HIIT), fret not as you can start with the bonus 4-week pre-training workouts to get your body going! After two weeks of using the guide, shown above are a few of my favourite exercises. They get your heart rate up, as well as actually feeling like you're using and building your muscles without weights or machines. The warm up and cool down stretches are a great way to make sure I wasn't pulling a muscle or doing any damage, and my favourites are the booty workouts of course! 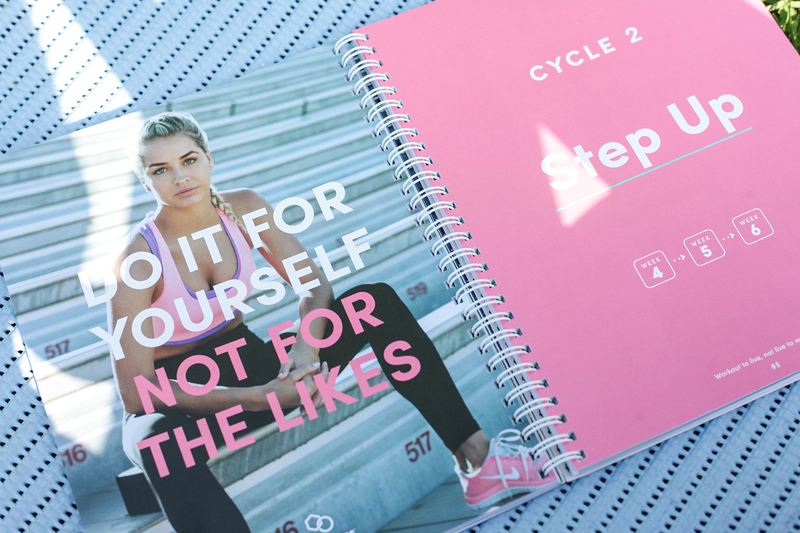 I've started doing them at home, or at my mums, and I even take the book with me to the gym incase I want to add on some extra exercises before I go for a swim. It's an all round gem of a book and I already feel fitter so I'm betting I'll pretty much feel like Beyonce by the end of it!! It's different every week and doesn't feel boring or take too long which makes me way more inclined to stick to it. If you prefer something on your mobile, you can also get the online version of the guide, which comes with interactive animations to illustrate how to perform each exercise in the correct form. I can't wait to see the full results after the whole training programme is finished, and then i'll probably go back around and do it all again to keep my fitness for good! What are your #BodyGoals? Let me know in the comments how you get on! This is a sponsored post from BodyBoss, but this has not affected my opinions and I was extremely happy with guide and genuinely will continue to use the product. Happy exercising!